If you own an Apple Watch Series 3 or newer, Siri can talk to you via the built-in speaker. And with the watchOS 5 software or later, you can invoke a Siri listening session on your watch without saying “Hey Siri”. Just raise your wrist and start talking, that’s it! 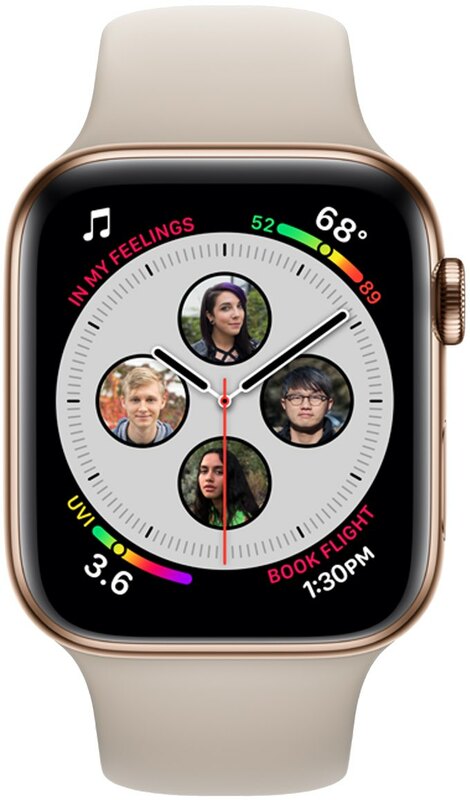 Called “Raise to Speak,” this is a new Apple Watch feature in the watchOS 5 software. watchOS 5 brings a new feature, called Raise to Speak. Great for hands-free Siri requests (i.e. when biking or driving). Raise your wrist and start talking into the watch. Follow-up requests require holding the Digital Crown. Raise to Speak works on Series 3 and newer. 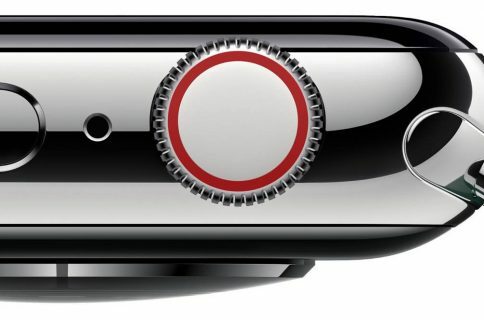 watchOS 5 first released for public consumption in September 2018. The software update is available for all Apple Watch models except for the original model. Raise to Speak does not work on Series 2 and Series 1 devices. 1) Open Settings on your Apple Watch. 4) Slide the switch labeled Raise to Speak to the ON position. If you don’t see this toggle, it’s because your Apple Watch does not support Raise to Speak. Again, you will need at least Apple Watch Series 3 in order to take advantage of this feature. Raise to Speak is unsupported on Series 2 and Series 1 watch models. If your hardware supports Raise to Speak but the feature doesn’t seem to work, you may have disabled the required option labeled Wake Screen on Wrist Raise found on the watch in Settings → General → Wake Screen or in the companion Watch app on your paired iPhone. To use the feature, simply hold your watch near your mouth and say what you need. It’s important to note that the watch must be very close to your mouth for the feature to kick in. If it is at an arm-length distance, it likely won’t work. After asking a question, you can immediately lower your wrist because Siri will tap you when she has a response. On Apple Watch Series 3 and up, Siri will also speak to you. Always On—Siri will always speak out her responses, even in silent mode. Control With Silent Mode—Siri goes mum when you set the watch to silent, but continues talking to you when the watch is connected to Bluetooth headphones. Headphones Only—Siri voice feedback is limited to Bluetooth headphones. Raise to Speak won’t let you continue a conversation or reply to a question from Siri seeking clarification. For that, you’ll need to hold down the Digital Crown and speak. Like before, you can manually call Siri by holding the Crown, followed by your request. Alternatively, use Hey Siri or hit that Siri button on the Siri watch face. 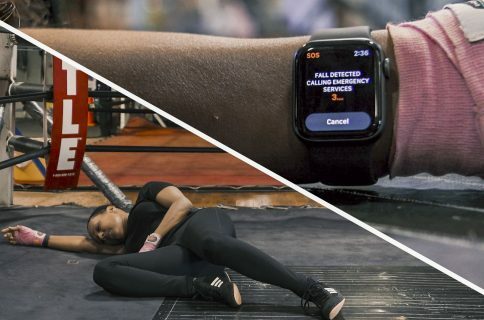 Your Apple Watch is able to detect that you’re talking to Siri and not your friend or anyone else by using built-in motion sensors to register if your wrist is up to your face. The watch must be fairly close to your face for the device to determine that you’re actually talking to Siri. Does Siri on HomePod tend to respond to the Hey Siri command issued through your wrist? 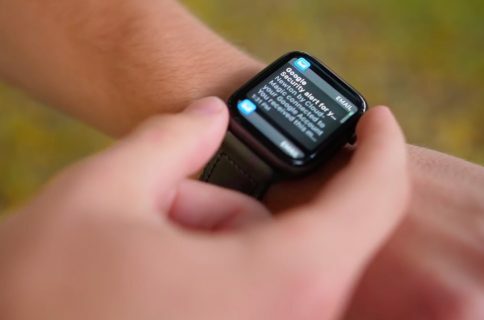 If so, I suggest toggling Hey Siri off in Settings on your Apple Watch to prevent it from erroneously responding to the Hey Siri command when it shouldn’t. 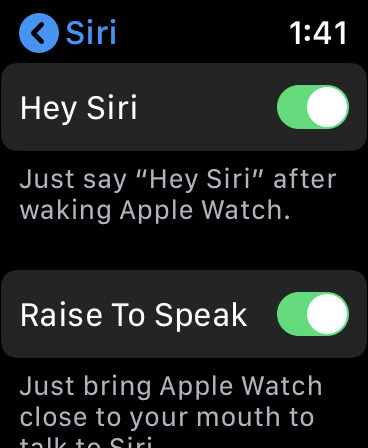 Raise to Speak lets you use Siri on Apple Watch in a truly hands-free fashion. No longer do you have to speak the Hey Siri hot word or press that Digital Crown button to invoke a Siri listening session on your wrist. With Raise to Speak, you can start a turn-by-turn navigation session hands-free, respond to a message while driving and so forth. As an example, if you’re riding a bike and have your AirPods on, you can ask Siri to initiate a phone call by bringing the watch close to your mouth and saying “Call Dad”. Or, if lunch is on the table but you’re running late, tell Siri to “send a message to Mom saying I’ll be late 15 minutes“ without having to prefix your command with Hey Siri. How do you like this Siri improvement in watchOS 5?